Photo by CC user 81894496@N06 on Flickr. If you are seeking for an unforgettable adventure, then plan your vacation to Singapore ahead of time. This diverse country offers some of the best indoor and outdoor activities that will surely make your heart pumps wildly. It will give all adrenaline junkies from across the globe an ultimate experience like no other. Whether you are feeling adventurous or just want to try something thrilling for the first time in your life, Singapore is the place to be. You will definitely enjoy many exciting activities here with your family and friends. Additionally, this modern city is more than just a shopping paradise or its common tourist spots. There are tons of other amazing things to do while here, so book a flight now. Also, you can compare travel insurance in Singapore to other cities and make your holiday getaway safe and hassle-free. 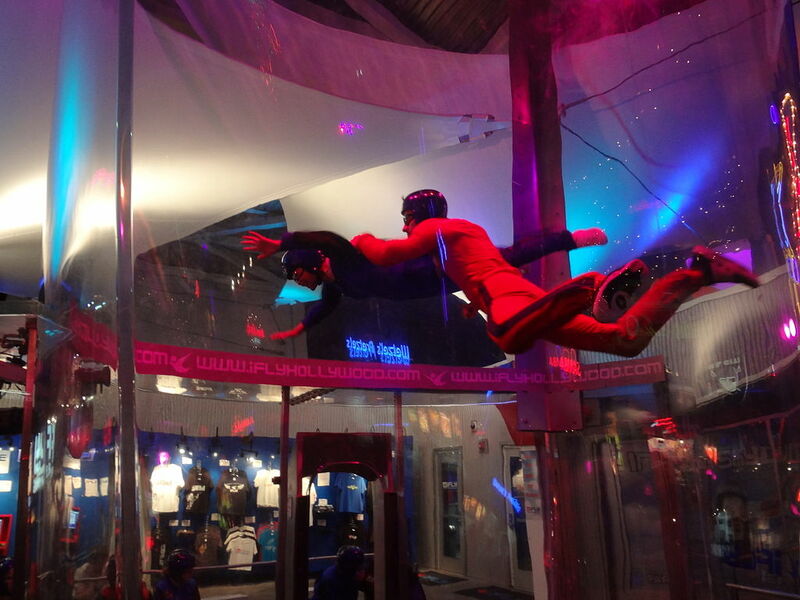 Get that adrenaline fix you have been craving for at iFly Singapore. It is said to be the world’s biggest indoor skydiving simulator, where you can experience the ultimate thrill of taking the plunge down a five-storey wind tunnel. You will be guided by a team of qualified skydiving professionals, so there’s really nothing to worry about. Once your pre-flight training session is done, you are now ready for the take-off. Thus, channel your best moves while in the air at a speed of 300 kilometers per hour. If you are up for a crazy adventure with your family or friends, then go to G-Max at Clarke Quay. Apparently, this adrenaline-filled center was manufactured, founded, and designed in New Zealand, where the original bungy started. You can try the G-X5 Extreme Swing, a five-seater capsule that drops you at a speed of 120-kilometer per hour. On the other hand, you can also try the G-Max Reverse Bungy, a three-seater steel capsule that catapults you 60 meters into the air at a speed of 200 kilometers per hour. You will get that exact feeling of how astronauts feel at a rocket launch or the Formula One riders. These two activities will make you scream your lungs out and the experience is absolutely worth it. For those who both love exhilarating activities and nature, Forest Adventure is a must-try for you. This jungle action adventure is the first in Singapore, which is composed of 34 various obstacles and boasts aerial activities on the banks of the reservoir. You can ride its four giant zip lines, climb up ladders, swing and trapeze from tree to tree, and cross swaying wooden bridges. Nothing really beats an action-packed fun with the people you love the most. Your trip to Singapore will surely be one for the books if you try these unforgettable activities mentioned above. Hence, plan your getaway ahead and add these things to your itinerary to make the most out of your vacation and have an experience of a lifetime.